The company “AD Applications” is the daughter company of “Dankers Decor”. The company “Dankers Decor” is a Belgian painter company that performs top level painting, decorating, historic restoration, preservation and plastering jobs throughout the whole world, working with below mentioned products, often in collaboration with one of world’s biggest top interior designers Axel Vervoordt (www.axel-vervoordt.com). AD applications offers a range of eco friendly products including products for lime plastering. One of these products is our Rasocal smooth finish lime plaster. RASOCAL is a pure lime putty suitable for salt-and-pepper effects on fine finish lime plaster. As a fine smooth finish for plaster and decoration. For salt-and-pepper effects on fine finish lime plaster. 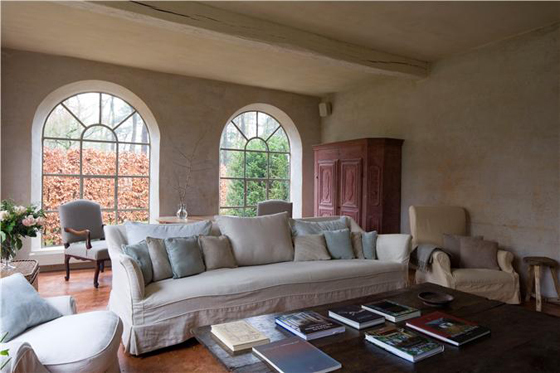 For more information about lime plaster and lime plastering, don't hesitate to contact us.